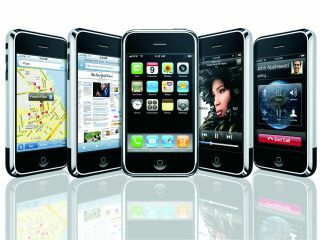 Palm and T-Mobile have been hit hardest by the release of the Apple iPhone. That's according to a new study from NPD into how Apple's entry into the market is affecting mobile phone sales in the US. Early iPhone buyers were 10 times more likely than other mobile phone buyers to have previously owned a Palm Treo, the report by NPD Group found. They were also three times more likely to have owned a T-Mobile branded phone, such as the Sidekick smartphone. According to NPD, Palm and T-Mobile customers have defected to Apple's device because the iPhone bridges the gap between content-focused feature phones and productivity-focused smartphones. "The iPhone's internet and media capabilities have resonated with consumers - especially those who previously owned Treos and Sidekicks," said Ross Rubin, director of industry analysis at NPD. "Its advanced operating system makes it competitive with smartphones for many tasks, while its sleek design and lack of expandability is reminiscent of fashion phones." However, Blackberry sales have so far been left unscathed, with Apple iPhone buyers no more likely than the average buyer to have previously owned a Blackberry. "The iPhone's lack of corporate email support appears to make it less appetising to current Blackberry owners," Rubin said. NPD surveyed more than 13,000 mobile phone buyers for the report.